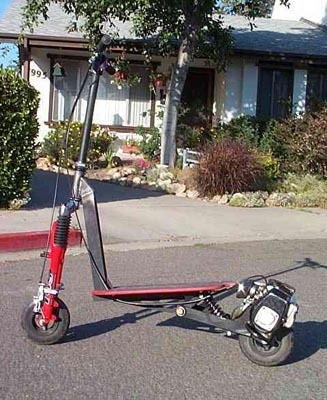 This scooter began as a home-made project, and developed into a patented scooter which you can now buy. 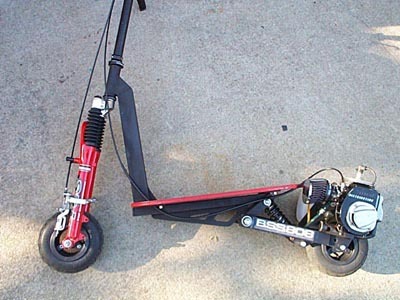 It has 4in of suspension travel front and rear, utilizing bicycle suspension parts and a strong frame. It can take a go-ped motor as standard, or any other motor with a small mounting modification.